Happy New Year to all those celebrating! This holiday is something that I have celebrated for years with my boyfriend's family and I have pretty much narrowed down the essentials over the years for a great holiday dinner. These are my go-to recipes and ideas that always impress everyone year after year! 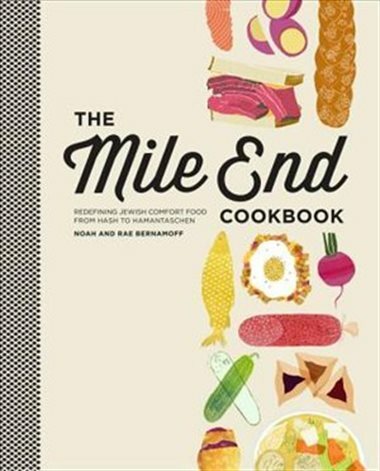 First off, I was gifted the Mile End Cookbook a few years back and I have to say it is really good. Every recipe I have ever tried from this book has been liked by many AND the authors have a Montreal-style deli in NYC & Brooklyn that we ate at last year and the food was really, really good! Basically the deli and book are dedicated to jewish comfort food and the recipes are easy to follow, which is always a plus. 1. Homemade challah! My go-to recipe is from the Mile End Cookbook and it has turned out AMAZING each and every time (unlike some other bread recipes I have tried in the past). 2. Latkas! While not typically a Rosh Hashanah dish, potato latkas are just so good, like ridiculously good and they tend to make an appearance at our Rosh Hashanah dinners. My go-to recipe is the Williams Sonoma recipe (click on the picture for the link) and always turn out crispy and delicious. Easy to make and the only kitchen equipment you need is a decent food grater. 3. Apple pie from an amazing local bakery! Apples are typically paired with the honey, which signifies a sweet new year and seeing as apples are abundant in the fall, why not include a delicious pie for dessert? I have tried to master the flaky pie crust and tend to fail miserably every time. 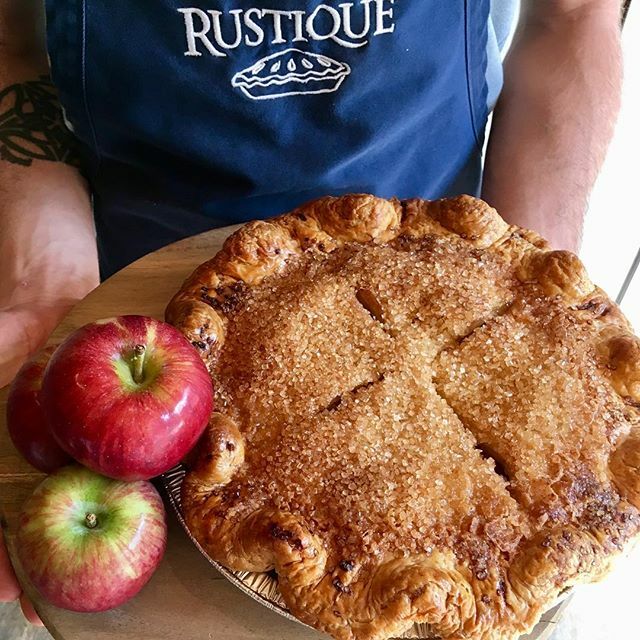 So I have given up on making pies and now rely on Rustique - an AMAZING Montreal based bakery that has the best pies and tons of dessert options. They also make mini individual pies that are great for dinner parties (especially if you just want to bring a variety) and cater to every popular holiday. A crowd favourite every time. 1. Flowers (or greenery) (#1) . My preference is white and green, but you can certainly create a stunning arrangement with any colour. 2. A special pot (#2) or jar for displaying the honey on the table. 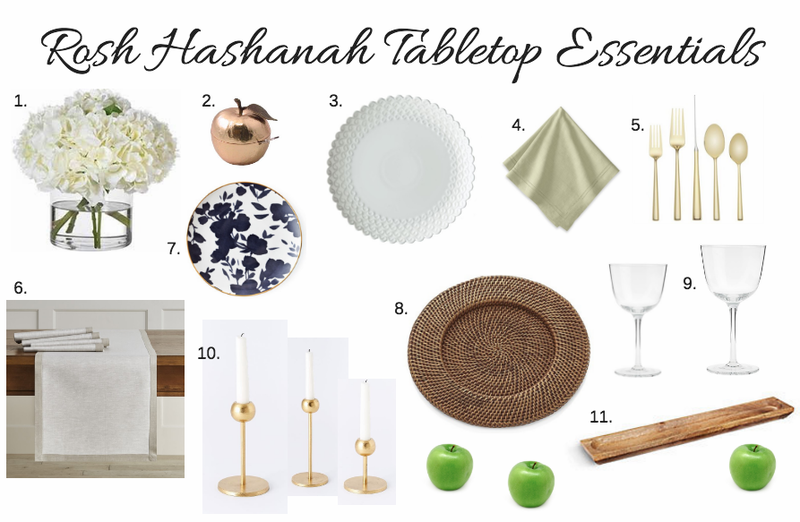 This is the unique element of Rosh Hashanah, so it is always nice to display it in a fun and pretty way. You can also incorporate apples using glass jars or a natural toned plate or tray. 3. Candles! Either in votives, tapers and tall candlesticks (#10), or pillar candles in a larger vase - it is always important to incorporate candle light at formal dinner tables (un-scented of course, that is VERY important). Not only does it create a nice ambiance for guests, but it will help fill the middle of the table and and tie everything together. Just keep height in mind - some prefer short candles so they can see everyone around the table. 4. Proper table linens (#4 & #6) (no paper napkins, you can use those on any night of week)! Linen is always a nice touch and if you aren't crazy about investing in a certain colour, stick to neutrals and you can use these items for any holiday or celebration. The rest of the items below will definitely help create a stunning tabletop, but aren't necessary if you don't already have (#3 - detailed white dinner plate, #5 - gold flatware, #7 - patterned salad plate in an accent colour, #8 - chargers, #9 - matching stemware. 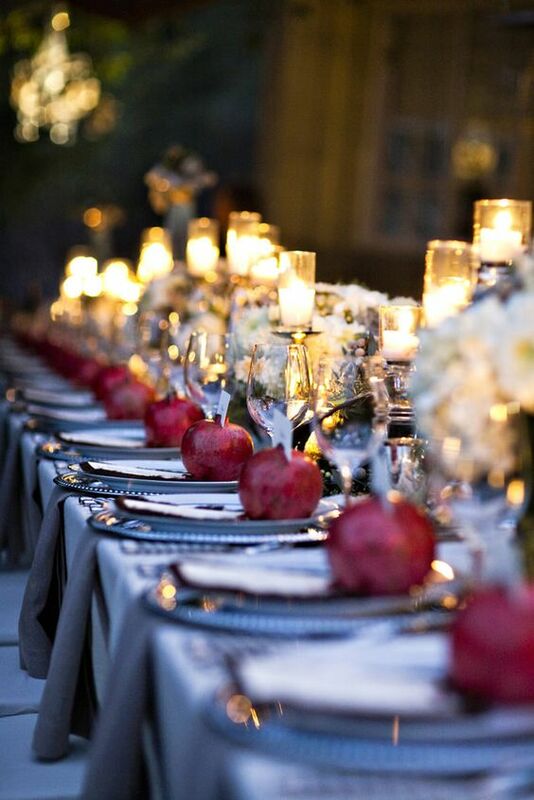 You would be surprised how incorporating fresh florals and candles alone can make a simple table look incredible!